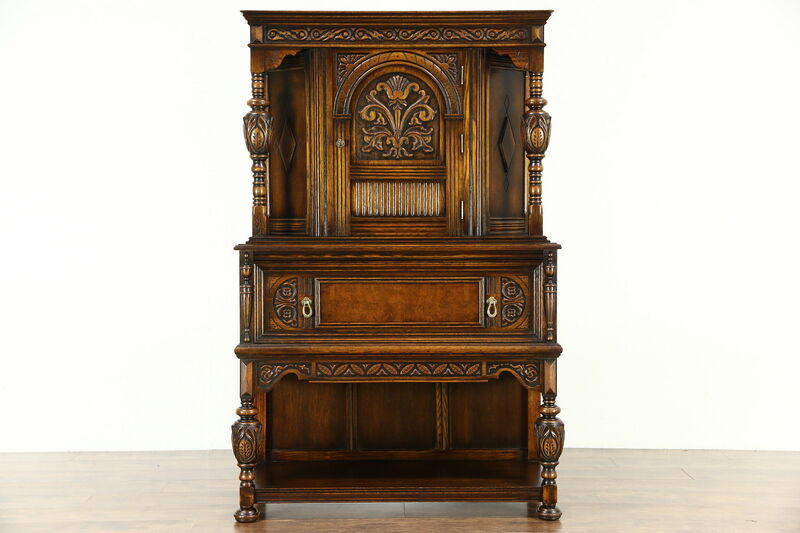 Expertly crafted in the English Tudor manner about 1925 by "Mandel Bros. of Chicago, Ill.," this richly detailed oak china cabinet is deeply carved. The gleaming renewed finish is in excellent condition, preserving the subtle antique shading. There are contrasting burl panels. Drawers have solid oak sides with dovetailed joints and original hammered brass pulls. Dimensions are 42" wide, 19" deep and 62 1/2" tall.